Looking to beat the heat this summer? 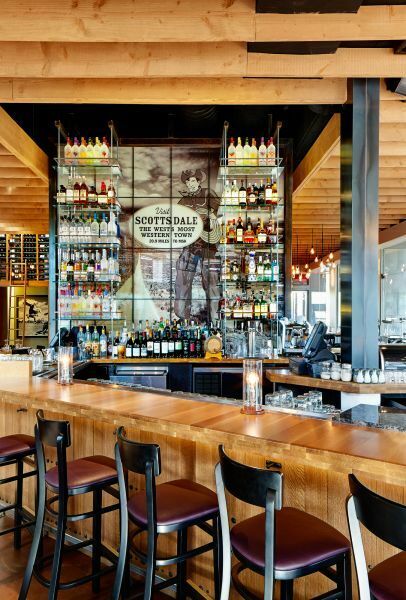 Head north, north Scottsdale that is, where all summer long Market Street Kitchen will introduce their brand new Happiest Hour specials beginning on Friday, May 27. Market Street Kitchen will be serving up Happiest Hour food and drink specials, seven days a week, from 3 – 7pm. Plus, don’t miss out on MSK’s farm-fresh craft cocktails, made with house-made syrups and seasonal ingredients. No wonder why Market Street Kitchen was finalist for the 2016 Foodist Award for its Premium Cocktail Program. Swing by Market Street Kitchen daily to savor chef-crafted bar bites starting at only $5, such as the savory Cicharones (fried pork skin, dusted bleu cheese and a side of sriracha ranch). Feeling some lighter? Treat yourself to some flavorful $5 Baba Ghanoush (roasted eggplant dip, served with vegetables). Or wet your whistle with $4 local draft beers, $5 wines by the glass and $5 well spirits, $7 well martinis and $5 bubbles. Meanwhile, MSK’s award-winning classic cocktails are served for just $7, including drinks such as the Blood & Sand (scotch, cherry herring, sweet vermouth & OJ) and the classic summer drink, the Dark & Stormy (dark rum,ginger beer, lime). Next → Next post: Creamistry Uptown Plaza to Open July 11, Free Ice Cream Day July 23!